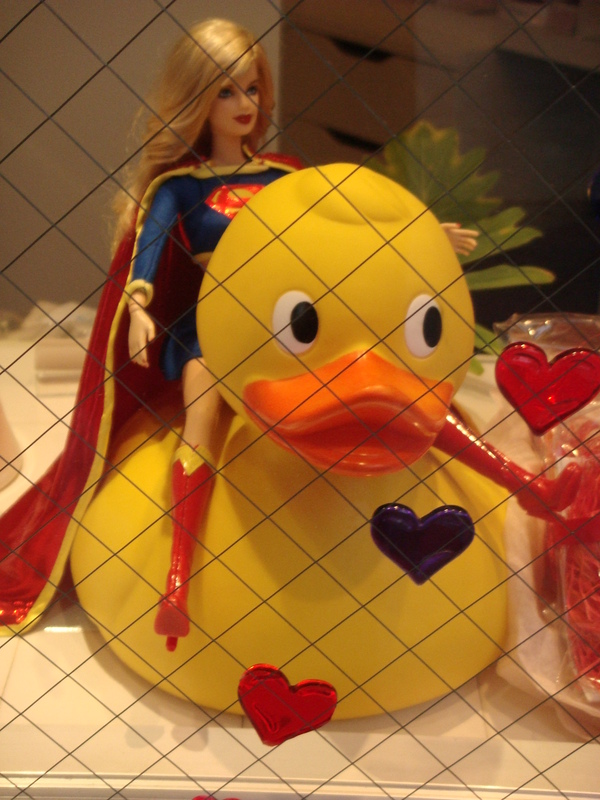 Super Barbie and the Duck – Life! Japan is a land of interesting things. I often walk past a bath shop near my house. I believe they try to sell bath products. I have never seen the shop open. The window display has been the same for over 3 1/2 years. Next to Super Barbie is a pyramid of Kirkland Toilet paper from Costco. I just don’t get it!